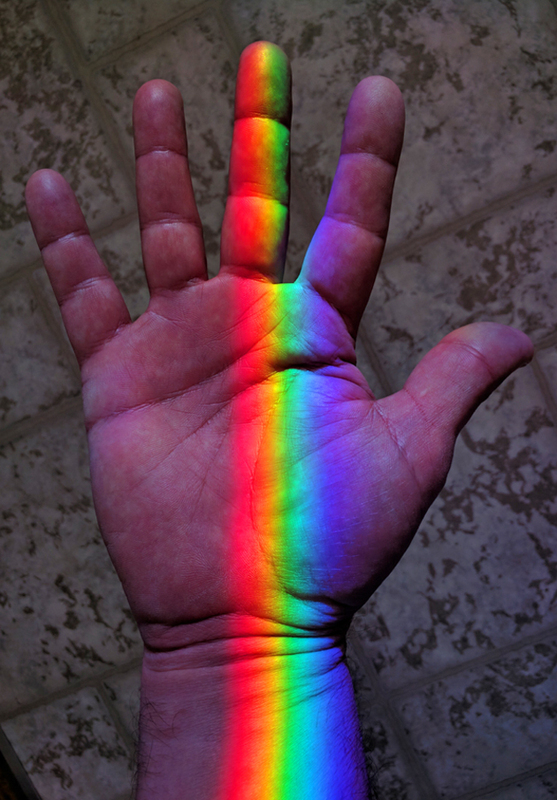 Rainbow colors from a Spectra sundial on the window sill kiss the maker's hand. Feel the color...Touch the rainbow! The Spectra sundial on the window sill is beaming a brilliant prism display of rainbow colors onto the maker's hand. Feel the color from a Spectra sundial...Touch the rainbow! Click on the picture for a bigger view, and if you like rainbow pictures be sure to check out the other ones on the Spectra gallery page!